The past few weeks have seen inspiring struggles by workers, but also some sharp arguments in the unions. Socialist Worker has been at the heart of the fightback and the debates. Teachers, university workers, firefighters and probation officers have all taken strike action – and Socialist Worker has been central to celebrating this resistance to the Tories and employers. We’ve had coverage of the picket lines and rallies up and down the country – from our reports of the enormous teachers’ demonstration in London to the pictures from last week’s higher education strikes. And we’ve put forward an analysis of these disputes to arm activists with the tools to win. But we’ve also recognised the challenges for the movement. When the leadership of the Unite union failed to lead an effective fight at the Grangemouth oil refinery, Socialist Worker said what many workers were thinking: unions can do better than this. We argued that workers need to stand up to the union leaders when they pass up the chance to resist. 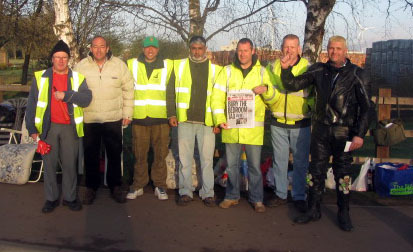 And when the NUT and FBU backed away from strikes, Socialist Worker supporters argued and organised to get the action back on and escalate the struggle. 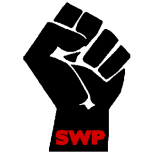 We want Socialist Worker to be in the hands of every worker who wants to fight. We want to maximise our coverage of the struggles and continue to put forward a strategy to defeat the bosses. But all this takes money. We ask members and supporters to give what they can. We suggest two days’ wages for members who are working. This entry was posted on Nov 6, 2013 by leicestersocialistworkersparty in Socialism, Uncategorized and tagged communism, left-wing, leicester, politics, socialism, socialist, socialists.